This is a super easy snack to make - perfect for all holiday occasions. The only thing wrong with this snack is I have a hard time not eating it all! Pour 1/2 of the bag of white chocolate chips into a microwave safe bowl (I use a measuring cup) - microwave white chocolate till soft and creamy - I microwave for 20 seconds - stir then microwave for an additional 30 second. Drizzle melted white chocolate on top of popcorn and M&M's - stirring as you drizzle. That is it!!! When cooled place in air tight container. I love the sweet and salty combo in this. I will definitely be trying this. 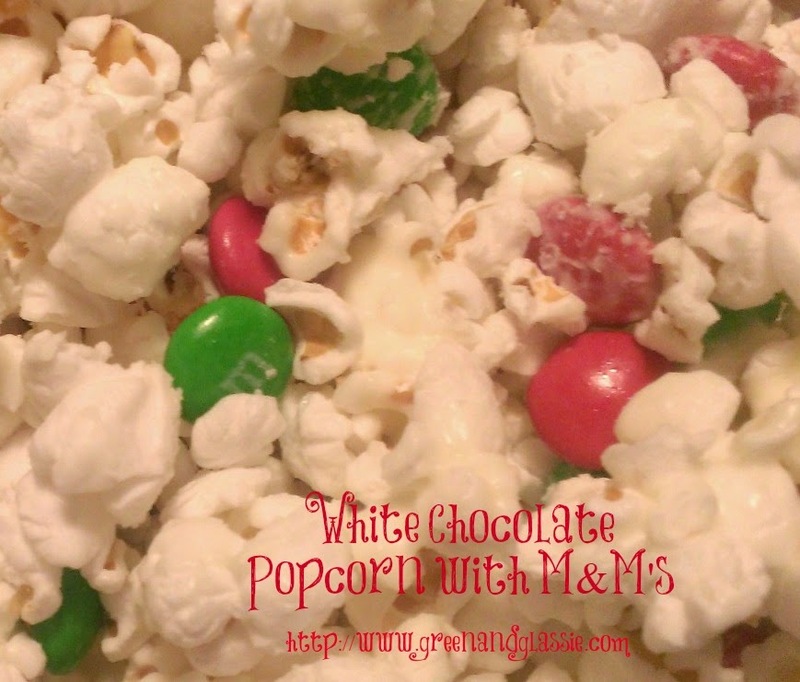 I love both popcorn and M&M's, so this treat is a winner in my book! Oh my goodness my son would love this . Must pin for later to try . I just have to make this. It is so festive. I like this because it combines two of the world's greatest things... popcorn and chocolate. Does the popcorn turn out sweet but crunchy? I love that so much. This is the perfect snack for a Christmas movie night. The kids wouldn't be able to get enough! This is so simple and delicious! i will definitely try this tonight! I love white chocolate the most! This is my kind of easy and yummy snack! Looks delicious! What an awesome snack for when we're cuddled up on the couch watching holiday movies! 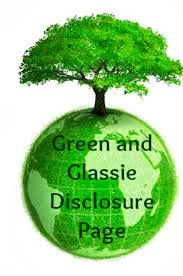 Definitely pinning - thanks for sharing! That sounds yummy - sweet and salty! My kids would enjoy this! My husband always tells me how great chocolate is in popcorn! Maybe I will try it. Sweet & Salty sound great. I am loving this combo. Hubby usually buys chocolate to put in his popcorn at the movies. I will have to give this one a try. Yummy! Sweet and salty and easy! Perfect treat!